Please contact us for current wheel availability. 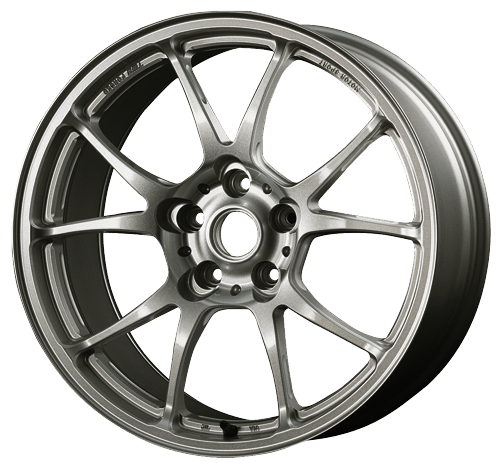 Some wheels may need to be special ordered from Japan and can take approximately 8-12 weeks for delivery. CounterSpace Garage is always looking to bring the finest and highest quality tuning parts to the community. CSG is the official dealer of TWS Forged wheels in North America for the import market. As always, don't hesitate to contact us for any wheels, sizes, and finishes from the TWS Forged wheels catalog. Developed from TAN-EI-SYA's profound experience of racing wheel production. With the iconic five twin-spokes, TWS Motorsport wheels achieved ultimate weight reduction, rigidity, durability, and balance. TWS is the wheel brand born from TAN-EI-SYA, one of the world-class Formula One forging blank suppliers. TWS wheels are fully forged, even rim barrels, and this makes a clear difference from any other wheels in the world. This is the ultimate pride of "Japan Quality." TAN-EI-SYA has addressed research and development of wheel forging since its establishment in 1978. Taking advantge of the 8,000-ton hydraulic press and innovative technology, the company succeeded in magnesium forging in 1990. Three years later, TAN-EI-SYA started the supply of magnesium forging blanks for Formula One. Nowadays almost half of Formula One teams appoints the TAN-EI-SYA forging blanks. Those achievements do not stay within motorsport, but rather spread into other realms such as OEM supplies to worldwide car manufacturers. Today, TAN-EI-SYA has built a solid position as one of the best forged wheel manufacturers in the world. Our new aluminum material "6T66," researched and developed exclusively for TAN-EI-SYA forged wheels: TWS Motorsport T66-F (except for certain sizes). The new material has better strength, elongation, and anti-deformation properties compared to the existing aluminum 6061-T6 (investigated by TAN-EI-SYA). We will keep researching, developing, and challenging ourselves to ofer new materials to the market.